Top 3 Videos for Aug. 27, 2016! Hands Off Gretel, Death Valley Girls, Stephanies (Japan), Summer Twins! It’s time once again for the Top 3 Videos! The best of the Top 3 Indies Band videos for August 27, 2016! And, drum roll, please! It’s Ladies Night! 4 hot new female fronted acts! 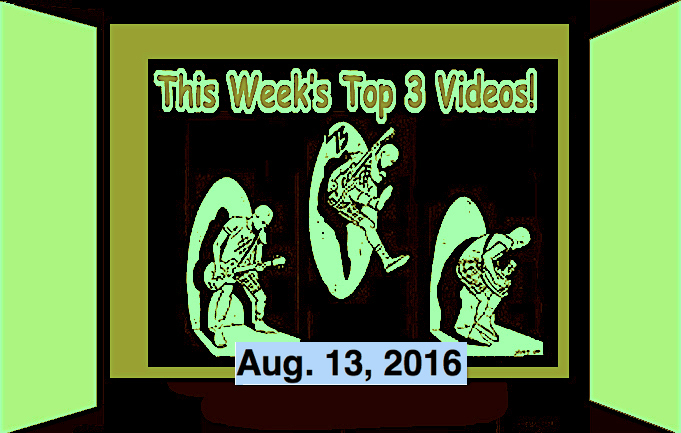 Top 3 Videos for Aug. 13, 2016! Black Honey, Mirror Trap, Spam 69 (Japan), Rock ‘n’ Roll Monkey & the Robots! It’s time once again for the Top 3 Videos! The best of the Top 3 Indies Band videos for August 13, 2016! And at #3 this week is the newest sensation from Brighton England. A female fronted 4-piece named Blood Honey and they are coming to Japan! They are performing at the Astro Hall in Harajuku on August 19th and appearing at Summersonic that weekend with The Mirror Trap!!!! See them before they become big! Black Honey describe themselves as a, “60’s alternative female fronted indie psychedelic rock chick band from Brighton.” They are cool. At #1 is the mighty Mirror Trap from Scotland with their newest video hot off the presses. And guess what? The Mirror Trap are coming to Japan too. In fact, they will be performing with this week’s #3 artist, Black Honey, at the Astro Hall in Harajuku on August 19th and appearing at Summersonic that weekend. This show will become legendary! See them before they become big! I’ll be there. I hope to see you there too! SPOTLIGHT ARTIST! Today’s Spotlight Artist is a Japanese Punk/Garage outfit that cracks me up. They are 6 crazy mo-fos that put on a wild rock n roll show. They kind of remind me of an Iggy and the Stooges on Spam. They’ve been around since 2011 and they are from Tokyo, Japan. 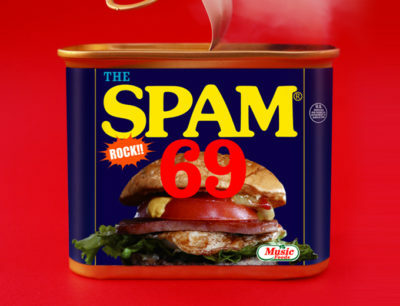 Their name is Spam69. 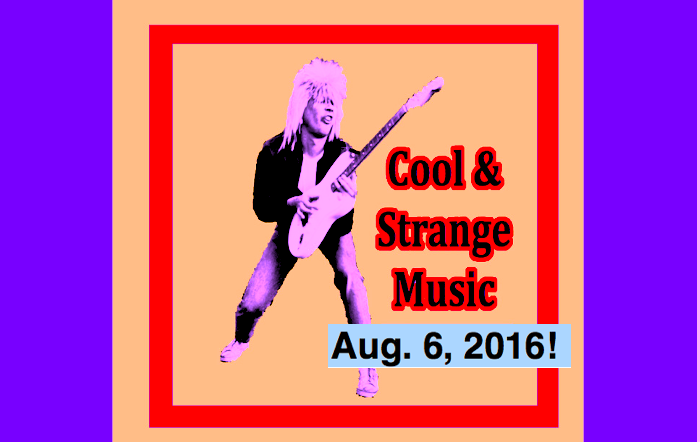 Cool & Strange Music for Aug. 9, 2016! Louis Armstrong, Andre Williams, Messer Chups! 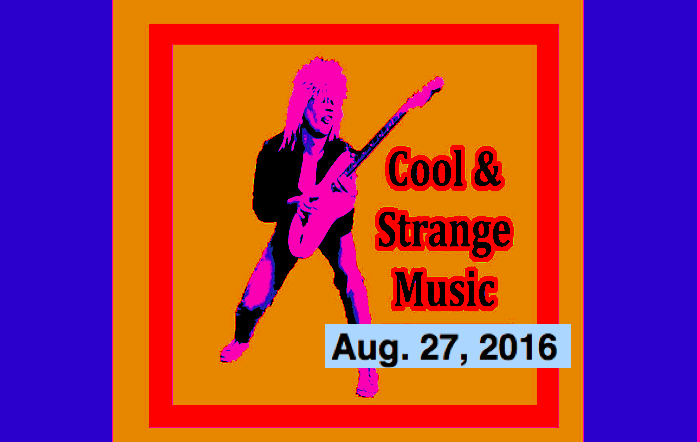 We’re back to Cool & Strange Music for August 9, 2016! At #3 is a regular on both the Cool & Strange Music Countdown and the Top 3 Indies Music Countdown, from Russia, Messer Chups! Next up is a classic oldie featuring Louis Armstrong. Louis Armstrong was nicknamed Satchmo or Pops, and he was an American trumpeter, composer, singer and occasional actor who was one of the most influential figures in jazz. I remember my mom and dad liked him a lot and I also remember seeing him on TV quite often as a little boy. His career spanned five decades, from the 1920s to the 1960s, and different eras in jazz. Today’s video is pretty funny (and nostalgic). This is Louis Armstrong singing one of his novelty hits called Cheesecake. This is from the TV show called, “Hollywood Palace” which ran from 1964 ~ 1970. Hollywood Palace featured many famous stars as weekly hosts of the show. In today’s episode, Bing Crosby hosts and makes a hilarious guest appearance in Louis Armstrong’s performance. I hope you get a laugh. At number 1 this week is something really reaching back into obscurity but this is way cool. It’s Andre Williams & His Orchestra. I first found out about Andy from the “Las Vegas Grind” compilation series and I have played this track many times on the FM radio in Japan. Today’s video, though, is special because it features stripper Shereé. Now, Shereé, isn’t just any stripper. She was the stripper for Andre Williams & His Orchestra! I guess this is truly one of the earliest music videos? This song is a gas! The stripper is just an extra cool bonus! Top 3 Videos for Aug. 6, 2016! The Whereabouts, Guitarwolf, Mirror Trap, Dog Party! It’s time once again for the Top 3 Videos! The best of the Top 3 Indies Band videos for August 6, 2016! And at #3 this week is the newest sensation from Scotland, The Mirror Trap and they are coming to Japan! They are performing at the the Astro Hall in Harajuku on August 19th and appearing at Summersonic that weekend!!!! See them before they become big! SPOTLIGHT ARTIST! Today’s Spotlight Artist is a Japanese Punk/Garage outfit that probably needs no introduction. They’ve been around since 1987 and they are from Nagasaki, Japan. Their name is Guitarwolf and they are known for songs with piercing vocals and an extremely loud style of noise-influenced punk which emphasizes heavy distortion and feedback. They coined the phrase “jet rock ‘n’ roll”, which they also use to describe their musical style. Here is their latest.